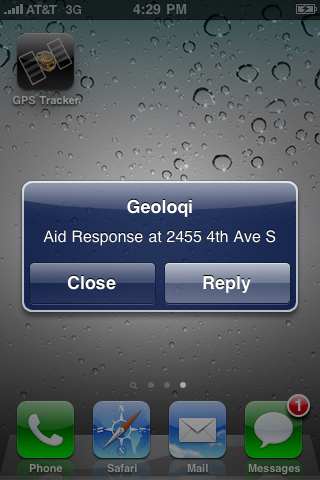 Geoloqi-powered flashmob game takes grand prize at Amped Hackathon in Seattle! 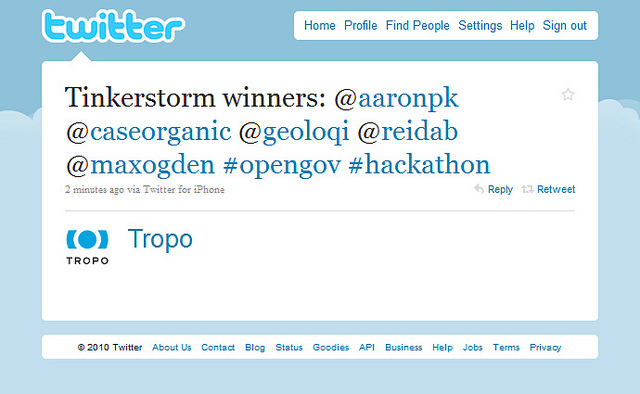 This weekend a Geoloqi-powered flashmob game won the Amped Hack Day competition in Seattle, Washington. 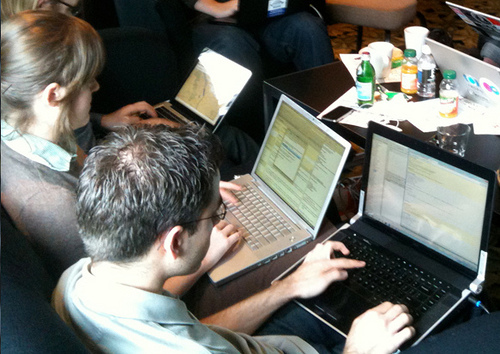 The competition was put on as an appendix to Seattle’s WebDirections conference. 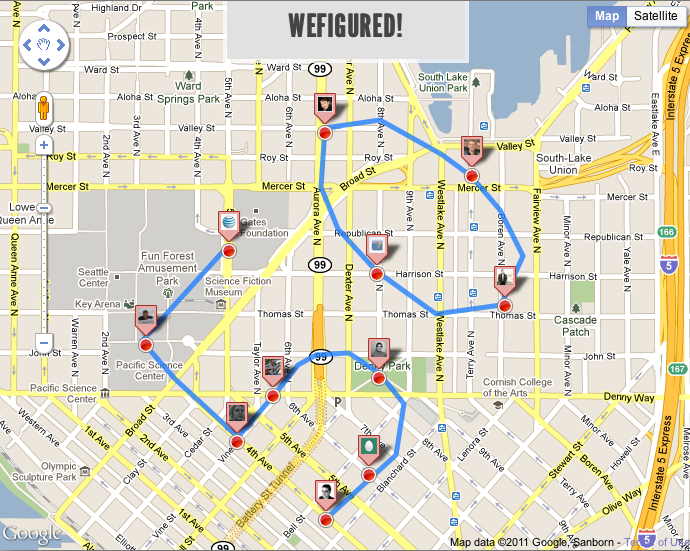 WeFigured is a RealTime geo location based team game with a twist on Social Rewards. Sponsors create patterns with spots that need to be filled. Once users fill the spots, they get rewarded! Why Should you go figure? Discover new venues, bars, restaurants, museums and more. Get Rewarded to go out. Each team member won a Bluetooth headset and a Motorola smartphone (useful for development). The entire app was built in a few hours, and the presentation included a live demo of the end of the game. The app was built by Aaron Parecki, Gaurav Maken, Alex Kamotsky and Kirill Zubovsky. Zubovsky has a longer post on the hackathon experience here. Amber and Aaron left to get some sleep and came back in the morning for breakfast with an idea to enter the contest. 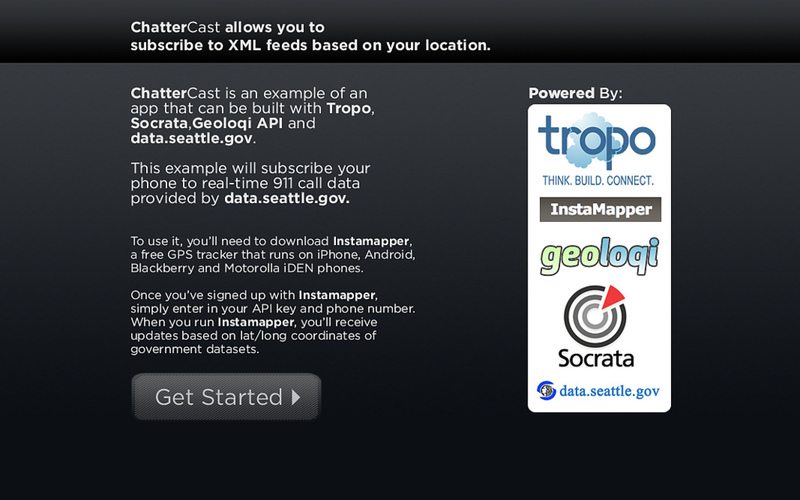 Their idea was ChatterCast, a mashup of Tropo, Socrata’s data.seattle.gov, Instamapper, and GeoLoqi services. Basically ChatterCast subscribes your phone to real-time 911 call data provided by http://data.seattle.gov. ChatterCast alerts you based on your location of 911 events happening around you.